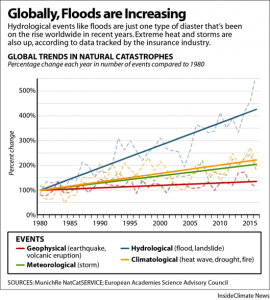 The European Academies’ Science Advisory Council (EASAC) has recently reported an increase in extreme weather over the last five years. Since 1980, extreme heat waves and droughts have doubled, while floods and big landslides have quadrupled. Last line gives the core of the problem that most governments should be concerned about: nature will not wait until we decide our strategy approaching this matter. We are definitely getting closer to a time limit that we can only estimate, and the consequences of passing that threshold are yet unknown. Reality is increasingly sending us signals for extreme events, according to Geert Jan van Oldenborgh, a senior researcher at the Royal Netherlands Meteorological Institute (KNMI). 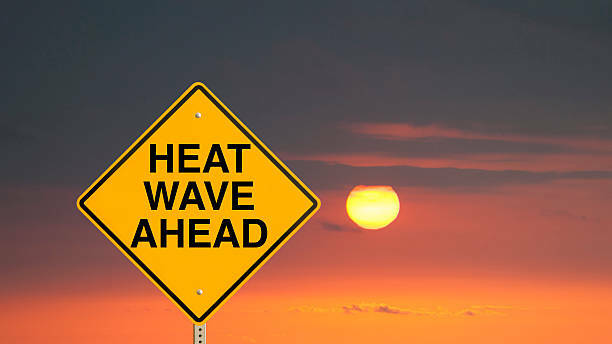 The KNMI has observed an escalation particularly in the number of floods and extreme heat waves in the last decades, realizing how little most European countries are prepared for this kind of contingency. For instance, there was a heat wave in 2003 that killed 70,000 people, mostly in France. More northern countries do not seem to be better arranged: in Germany, heat adaptation is yet not a local government priority, although meteorological trends point on that direction; in Belgium, cities are forecasted to experience 25 more days a year with temperatures 10 degrees above the heat alarm level by 2050. These would be some of the most direct (and therefore predictable) consequences to look at, but in nature the butterfly effect predominates. In case of staying in our current trend regarding pollution and abatement efforts, the more extreme events could lead to major waves of migration worldwide, especially from South Asia, Sub-Saharan Africa and America. A World Bank’s report from March 19 has estimated that up to 140 million people could be forced to migrate by 2050 due to climate change’s effects. As the secretary of the Norwegian Academy of Science and Letters Øystein Hov claims, European Commission tends to listen what’s coming from the academies. However, the more information we get the more we need governments to be brave and take a step forward. Climate change is knocking at our doors with urgency.